You have most likely had that “oops” moment after chipping your tooth. Maybe something happened and on running the tongue in your mouth you realized that you have chipped a tooth. The sharp edge of the chipped tooth is not only irritating but it can also injure your tongue. Fortunately, chipped teeth are repairable. In fact, your chipped tooth can be repaired to look better than your other teeth. Our teeth have a very hard top layer called the enamel. This layer is very strong. However, enamel has its limits too especially when your teeth decay. If you have a large chip, the exposed tooth part that has nerves can be very painful. If you have a painful chipped tooth, see a reputable dentist like Dr. Gabe Doria at his dental practice in Bayonne, NJ in Hudson County right away. Getting your chipped tooth repaired immediately will reduce pain and prevent further damage or a possible infection. Before you see a dentist, there are things that you should do. For more information, check out the emergency dentist page on our site. There are many chipped tooth repair options. 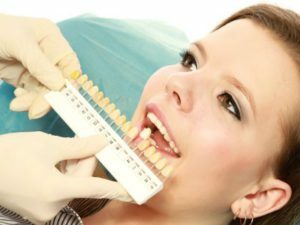 However, the option that a professional dentist like Gabe Doria will choose once you visit his dental practice in Bayonne, NJ in Hudson County depends on several factors. These include the amount of tooth that you have lost and the tooth that has been chipped or its location in your mouth. Bonding: This entails placing a resin with color that matches the color of the natural teeth over the chipped area. Filling: If a back tooth has a large chip, a filling, made of the same material used in filling the cavity may be used in repairing the chip. Veneer: This entails placing a thin material layer over the chipped tooth. The tooth can be strengthened by the veneers and its appearance improved. Crown: This entails placing a tooth-shaped cap over the chipped tooth. Dental caps protect teeth while restoring their appearance. The first and most important step that will lead to safe and effective repair of your chipped tooth is contacting a dentist. This is very important even if you think the damage to your tooth is minor. The next step is visiting Dr. Gabe Doria to have the condition of your tooth assessed. At his dental practice in Bayonne, NJ in Hudson County, Dr. Gabe has a team that is professional and passionate about helping dental patients get better. Together with this team, you will decide which option is the most appropriate for fixing the chipped tooth. Once your chipped tooth has been repaired, you should take proper care of it. Ideally, maintain a regular dental care routine. For instance, brush and floss your teeth at least twice a day. Rinse your mouth after a meal or after eating or drinking beverages. Also go for dental checkup at least twice a year. Dr. Gabe is an experienced dentist with years of experience in chipped teeth repair and other dental procedures. He has successfully saved the smiles of many patients with chipped tooth and related problems. Contact us now for answers to your questions about chipped teeth or to schedule your dental consultation.